It is common knowledge that we live in a mobile-friendly age but is it truly possible to plan, book, and enjoy a safari using only your phone? IPHONE ONLY SAFARI A Mobile Adventure. Do you have a smart phone? If you do, it's probably within arm's reach at any given moment. Accessible to the masses, a computer and a camera that fits in your pocket, our mobiles have become an essential part of our everyday lives. What they haven't put on the box is that, in owning a smart phone, you possess the single tool you need for your next adventure. 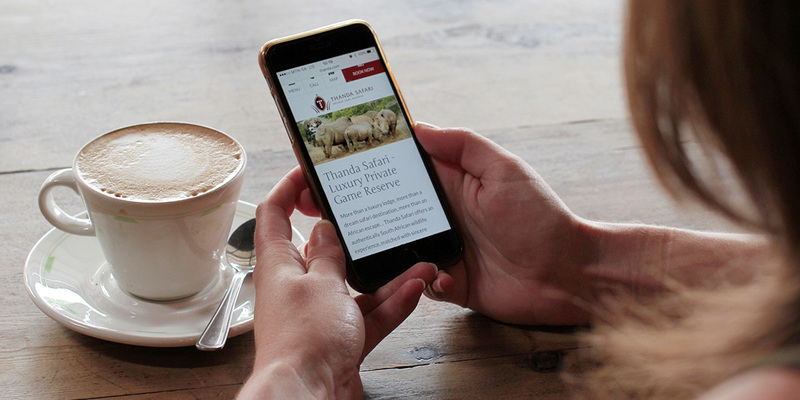 It is common knowledge that we live in a mobile-friendly age but is it truly possible to plan, book, and enjoy a safari using only your phone? I entered the gauntlet and undertook to find out and share my experience. Along the way, I will offer helpful hints, app advice, and a step-by-step account of how this one gadget became my go-to travel resource for a trip to Africa. The PLANNING PHASE: Finding "the one" in a world full of choices. My name is Claire and I'm an addict. I suffer from travel lust. In a silent monotonous chorus in the safe space of my office, shelves of half-read travel guides and magazines are non-judgemental in their greeting of me - a Pinterest page of beautiful destinations opened on my desktop (disclaimer: once you start, you can’t stop). My iPhone holds countless bookmarked pages on the top places to visit this year - an enabler in my insurmountable capacity to dream of far off places. In the digital age, from albums of holiday snaps to carefully-formulated photographic campaigns on social media, we are one tap of an app icon away from a bombardment of images and stories. It’s no wonder I am suffering with the dull monogamy of home. The internet is a dangerous thing, kids, and the mobile is the stranger offering you candy every day. With so many options out there, how could one possibly be expected to choose one destination over all the others? How can you be sure this will be the place that will fulfil your inner yearning and be the one of your dreams? We have but a limited amount of leave every year after all and, tick tock, the clock is ticking. again and the mere mention of you makes my heart tap dance and my skin tingle at the thought of your sun on my face. I know you have many lovers, but what we share is ours alone. Having made the choice of so diverse and tempestuous a place, the devil is in the details. I pull out my phone and start to Google "historical tours Africa". South Africa dominates the first page. This is a good start but, with 9 800 000 results, it's hard not to feel a bit daunted by it all. Add "Safari South Africa" to the mix with nearly 12 million results and I’m bordering on delirium. There’s only one thing for this: TripAdvisor. 2787 results seem a little more manageable but, in the face of swipe upon swipe of highly rated historical and heritage tours and the enthused reviews of strangers (I haven’t even started to embark on the safari side of things yet), my head is swimming in the face of the enormity of the choice. I want things to be right and, normally inviting serendipity, I uncharacteristically decide not to leave things to chance. These are lifelong memories we are building after all. It's time to bring in the big guns. 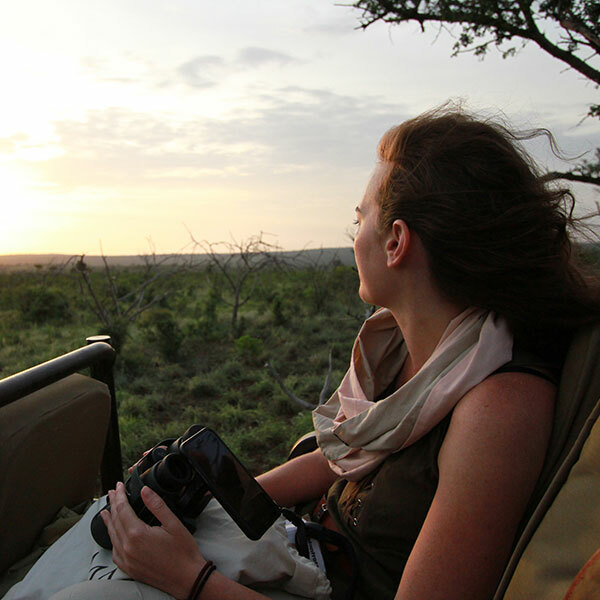 Africa, it's time to get the nod from my friends – I believe you've met before – the tour operator. I take the plunge. My tour operator knows Africa well (I shrug off any residual jealousy at the thought that they probably know Africa better than I do) and they are thrilled with my choice. What better endorsement than a wink and an enthusiastic thumbs-up from someone in the know? 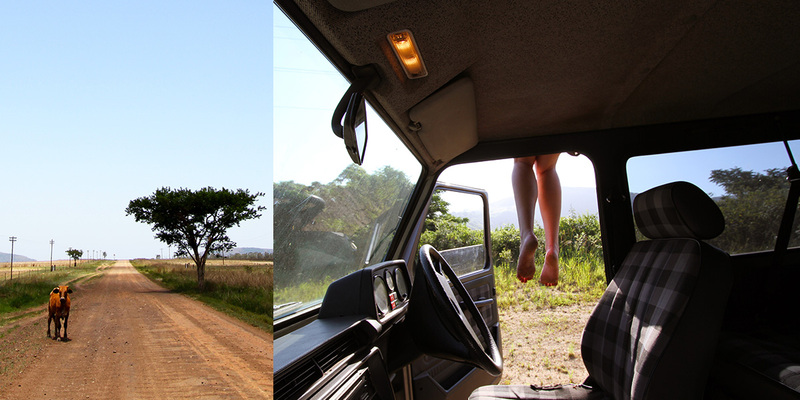 After an e-mail exchange of who I was and what I wanted, I made the easy choice of Fugitives' Drift Lodge and Thanda Private Game Reserve with a short road trip before and in between. What followed came peace of mind in knowing the logistics were in the hands of someone trained to bring the dream day of my departure into reality. Flights, car rentals, bookings, and advice from the well-versed in one quick and easy package. But I wouldn't be human if, gripped with late-night doubt, I didn't let my mind wander over to the dark side and consider taking charge. I did the unthinkable. I opened TripAdvisor. Cold feet are normal, right? I clicked on reviews all cooing me into the lull of the knowledge of having made good choices until I sat like a junkie awash in mascara-dripping shame that I had deigned to question the course of true love and the good advice at the experience-endowed hands of my tour operator. Click here to read more about the technical side of the iPhone safari. THE PACKING PHASE: The age-old battle between quantity and quality. In the name of simplicity, it was proposed that I aspire to make my iPhone-only safari a hand luggage-only safari too. I mentally packed my suitcase and concluded it was impossible but it felt like an infectious spirit of adventure had entered my very DNA that extended even to packing for this trip. Pistols at dawn, suitcase (probably the day before departure). Before the physical act of packing begins, a prototypic condition of the human mind takes place in the form of inevitable wardrobe questioning. What do I have on my shelves? What do I need? What can’t I live without? Faced with unknown conditions in a new place, these questions take on a new importance as we work out what will make the shortlist to the highly exclusive space on offer by your ever-discerning host, the travel suitcase. I am fortunate in the sense that I have been on safari before. With experience comes wisdom. For those who don't have experience, bring on the packing list from those who do. 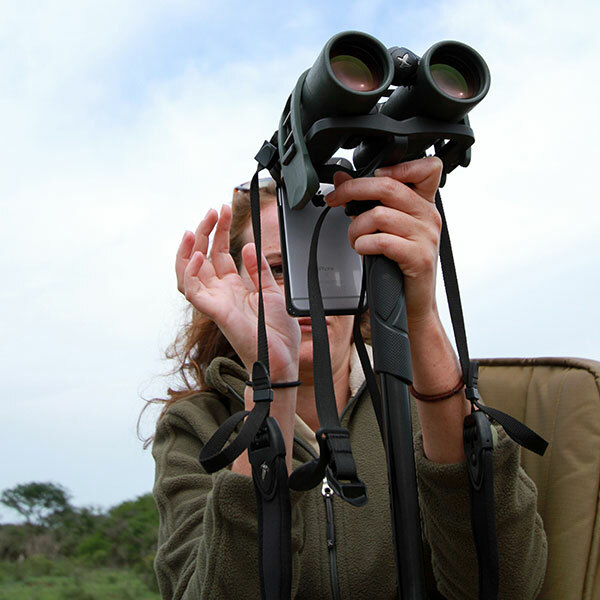 This is something your tour operator may help you with, but The Safari Store are specialists. Their packing list is comprehensive and covers all the bases as a checklist in preparing your luggage. 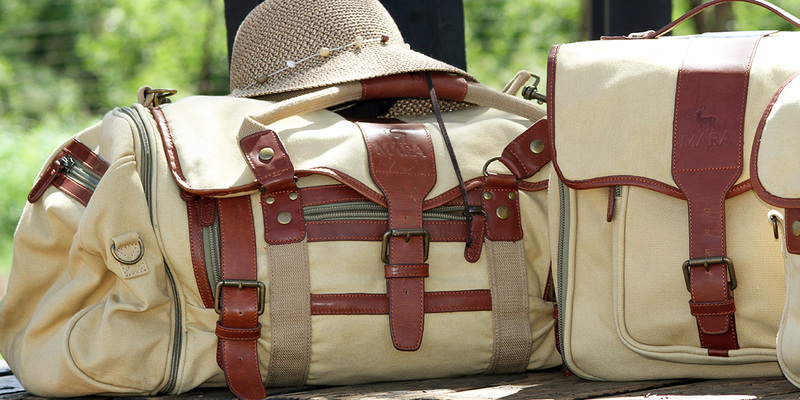 To sign up for The Safari Store packing list, click here. The day of reckoning arrives. I have been given the Mara&Meru™ Safari Voyager as the recommended bag for the trip and, on my bed, patiently queued up, lies everything I think I need. Being a creature of lists, I have dispensed with the traditional pen and paper and downloaded the TripList app (and used it in conjunction with my ever-reliable Evernote). It is pretty handy to have all of your information together on your phone in case, God forbid, your luggage goes missing. It's also done wonders to soothe the neurosis that is the voice repeating, "You forgot something" over and over again in my head. Immediately I am struck by the fact that, going digital in the form of iPhone-only, this trip will involve none of my camera equipment, no guidebooks, iPod and charger, GPS for my road trip. For a time, a question mark hangs over the necessity of my laptop considering I could probably save everything to iCloud. Everything on the "tech" section of the bed fits into a Mara&Meru™ drawstring bag with room to spare. I look at my phone. "Don't let me down," I caution. "I’m sorry," replies Siri. I doubtfully look from the bag to the bed. I have been given a pile of clothing that I already know I would happily wear on walks and drives, as well as for dinner in the evening including a fleece, a gilet, and a pair of walking shoes. I have consulted the weights on the website and everything seems to be in order - in principle. Together with my tech bag, toiletries, and shoes, I am sceptical. I dismissively shake my head at it. This isn't going to happen. Should I try and find a vacuum packer at this, the final hour? Turn and draw. With the sigh of the non-believing, I start putting things in as if the act of compressing everything into the smallest possible ball will have the effect of physically diminishing them in size. Not necessary, it turns out. Granted a small benediction by the packing gods, everything fit – only just. I closed the zip and put it together with the Selous Satchel and the drawstring bag. So this is what minimalism looks like. I think I like it. Sorry, your browser does not support the video element. From home to Fugitives' Drift: Road tripping with my two favourite allies. It is shortly after 6am that Google Maps lets me down for the first time. I type in the name of my photographer's road to be told it doesn't exist. The car is packed and I am desperate to start driving. The one thing the packing list apps don't do is make sure you haven't left your walking shoes or toothbrush behind in a moment of oversight. Having gone back inside three or four times to check already, I am starting to feel like a fanatic urged to walk three circles before turning on a light switch. It is already bordering on 30 degrees Celsius and I fumble through the archives of countless planning e-mails carefully allocated to their folders on my phone (oh, light switch fanaticism) in case I am getting it wrong. A phone call later and a nearby landmark keyed in, I make my way to Tania's house with a sleepless night of travel angst behind me and blissful adventure-filled days ahead. Tania's father had very kindly printed out Google directions in hard copy form of a route he felt would be safer for two women travelling alone (can that really be called cheating?). Strike two, Google Maps. I'm sure there were plenty of online forums that would have revealed the better route but, admittedly, that hadn't featured in my thinking when looking at the benign blue-lined course in the build-up to our departure. It just goes to show that a bit of local knowledge and father's care never goes amiss. Out on the highway, we bubbled over with excitement in a way two girls on the open road would. My carefully arranged road trip playlist and audio book collection on my phone were quickly muted and replaced with the avid chitter chatter that comes with shared anticipation of a new experience. That kind of freedom - the kind you feel with your foot on the accelerator through changing horizons further and further away from the familiar – gains momentum with surprising force. How far could we go? What amazing things would we see along the way? It didn't take long to realise we were not alone in the car. A third voice chimed in from time to time – the bossy one of the group, unaffected by that contagious sense of freedom. "Go north-west," she said. I'm sorry, I forgot my handy compass in my other pants. My phone has a compass, but I was disinclined to start fiddling with it while driving a car that was not my own. We Googled how to find north using a stick, the sun, and shadow. I memorised the exit we needed to take and allowed the voice of our invisible third passenger dubbed "Faith" to become white noise in the babble of our excitement – "recalculating" as we disobeyed her dashboard commands. And then the time came to turn off the main road and, with it, the urge to be a little more alert. Farmlands opened up on either side of us and a wrong turn could have landed us out yonder with the hope that Faith would come to the rescue. We made sure the car's fuel tank was filled and made our way through small towns with markedly similar spired churches along main roads, anticipating our arrival by a quick look at Google Maps. Our desire to fill the car with homemade padstal fare went unfulfilled and we stopped off at a shopping centre for a much-needed cool drink and bathroom break. We exploded with laughter as over-zealous Faith exclaimed, "Go north-west" from the caverns of my handbag as I walked into the bathroom stall. Now, I am one of those beings that find pleasure in little things. High on that list of little things is the judder of soul and car tyres as a road turns from tar to dirt, a comet tail of red dust in your wake. On highways and district roads in Africa, my imagination always removes the road, harking back to an unexplored terrain. 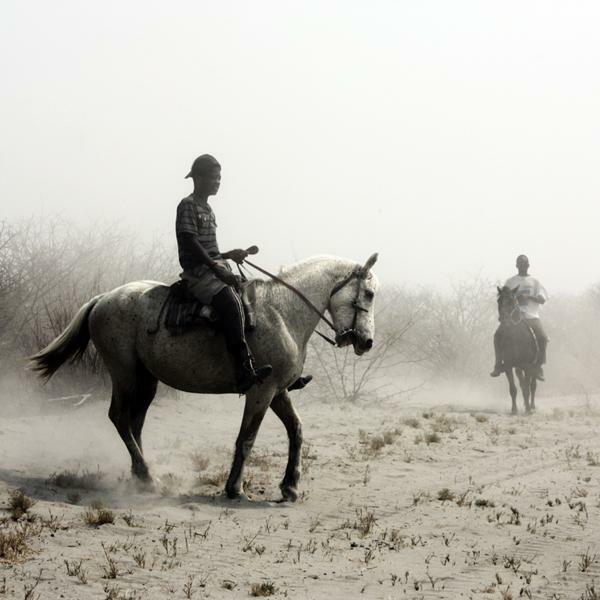 "Be a pioneer," it urges, "See it unspoilt through their eyes". Somehow capillaries of dirt roads through humble villages and bush extending to the kissing point of land and sky lend themselves to that sentiment. There is also a lackadaisical element to roads of beaten red earth and stone. Coming over a hill to an opening of seemingly endless hills, what need would there be to fight the compulsion to step out of the car into the heat, breathe it in, take as many panoramic photos as my phone capacity would allow? Out there, there's no fear of missing meetings, but there was fear of missing lunch and a few extra hours to explore our first stop, Fugitives' Drift Lodge. So on we drove, driven by a different kind of hunger to the one that would govern any ordinary day. Faith told us we were getting close but, spotting the inimitable form of Isandlwana like a beacon of untold stories in the distance, some inner GPS was at work. One minor u-turn a few kilometres down the road from where we needed to be, we were welcomed at the gates of Fugitives' Drift Lodge with a personalised letter retrieved from behind the low doorway of a Zulu hut. It informed us that a 20 minute drive was all that stood between us and the end of the first phase of our road trip. It took slightly longer than 20 minutes as, around the first bend, some giraffe and their calf observed us with unstirred ambivalence from amongst the aloes. As we pulled up to the lodge, we handed over our keys and the safe passage of our luggage to our room to a pair of high-spirited volunteer guides and were welcomed into the shady sanctum of the reception area at Fugitives' Drift Lodge. Inasmuch as a road trip is exciting in and of itself, it is the arrival at your destination that makes you feel you are entering the wardrobe or, in this case, a gateway to a land of red-coats and shield-wielding Zulus, activated by the shifting cogs of knowledge and imagination. To read more about our time at Fugitives' Drift Lodge, click here. On highways and district roads in Africa, my imagination always removes the road, harking back to an unexplored terrain. Two nights later, we said a begrudging goodbye and, bundled back into the car with a travel pack of crunchies and water from Fugitives' Drift, made our way to the bush wonderland that was Thanda Tented Camp. Not long into the journey, Faith decided to go quiet, only pinging in at the height of our being lost. We pulled over into a clearing of forest and purveyed the blue line of the map that hadn't lost its bearings, an air of distrust permeating the air-conditioned cabin we were bound to occupy for most of the day. We broke into the typed directions supplied by Fugitives' Drift in the name of certainty long past where the road returned to tar. We followed our noses through winding passes flanked by mountains, through towns that turned to cities that in turn became industrial areas that led us on to the old devil we knew – the highway. There was no going wrong from there and Faith found her voice towards the Thanda turn-off, as if lulled to sleep by the motion of the car and awoken by excitement as the destination drew near. The thrill of dirt road thankfully not tempered by the harrows of the day, we followed the game fence to gates befitting the heaven that lay beyond them. Our instructions when booking had been to call half an hour prior to arrival and we’d done that also to inform them of the delay. We had a moment of silence at the thought of missed lunch. We unpacked our car and parked it under an awning to await our departure. Quickly unburdened of my irritation from hours of driving, we snaked our way through the special Zululand bush in the open game drive vehicle. The bully that can be the African sun was tickled by the wind on our skin. 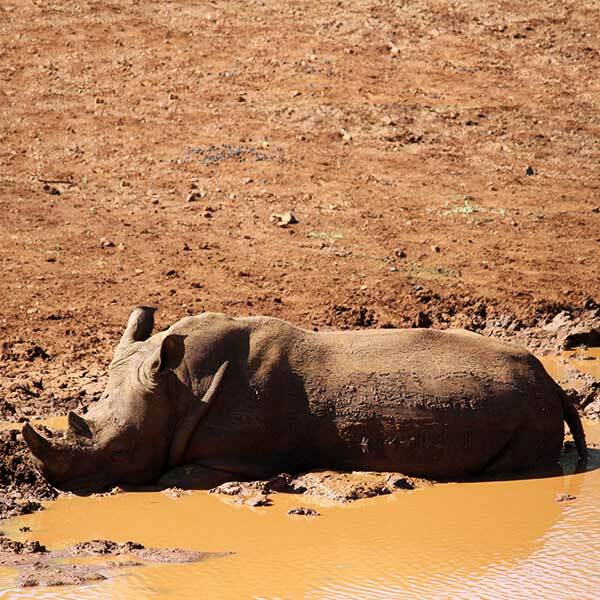 A sleeping white rhino twitched occasionally in the relish of a cracking mud mask - a sign of the perfect retreat that was to follow. Heading to the airport a few days later, the road trip lacked the same fervour as when we had initially set off a week before. The road seemed to yield less potential to discover something new (although we did take the time to explore the Aladdin's cave of curio shops that happened to be along the way). The road to the airport was a straight stretch of highway that led back to the promise of home and even Faith found herself silent, no orders to impart that would change the fact our adventure was coming to an end. For the first time, my road trip playlist came into use. Ultimately, what kind of traveller you are will determine how much or how little you use your phone as a tool on a road trip. I had made a plethora of downloads before we left - to entertain us, to moderate every element of the journey from fuel to sun factor. If, like me, you tend towards the somewhat reckless explorer abandon the moment you hit the open road – happy to take a wrong turn as long as it’s something to talk about afterwards – you will probably find yourself mentally silencing the prosaic voice of your know-it-all GPS. There's no denying, however, that, like your good and sensible friend and road trip passenger, it's always a relief to have that uniform voice in the car telling you to take the right turn. THE SHARING PHASE: A joy that's shared is a joy made double. Experiences build a framework of meaning in our lives. The places we go and the people we meet are instruments of change, whether we want them to be or not. Whether travelling alone or with family or friends, this is an individual metamorphosis and, in our wanderings, we all become story-tellers. Half the fun of my iPhone safari has been telling people about it. Thumbs tapping the screen in a patch of wi-fi in a series of Whatsapp messages to the most important people in my life punctuated my travels. To live it was incredible. To be able to share it with the people I love in an instant was sublime. The convenience of being able to say, "I'm here", "Look what I did today", "I can’t believe this happened" nurtures a connection with the ones we'd sometimes rather not leave behind in this gathering of experiences. Love it or hate it, social media connects people and, in uploading an album or posting an update, you are building a personal profile that holds memories. I have accounts across a lot of platforms. I see the value and appeal in it, but I am not the kind of person who creates blow-by-blow posts on what I'm doing. When I do, it is more as a record for myself than for the blue thumbs-up or retweet of appreciation from the people I know. It doesn't need to be on the internet for it to have happened. That said, if nothing else, I urge you to use your smart phone for one of its primary functions – to communicate. If you have followed my adventure from start to finish, there may be a handful of features and app functions that stand out to you as worth investigating. How wonderful to have life simplified by technology! 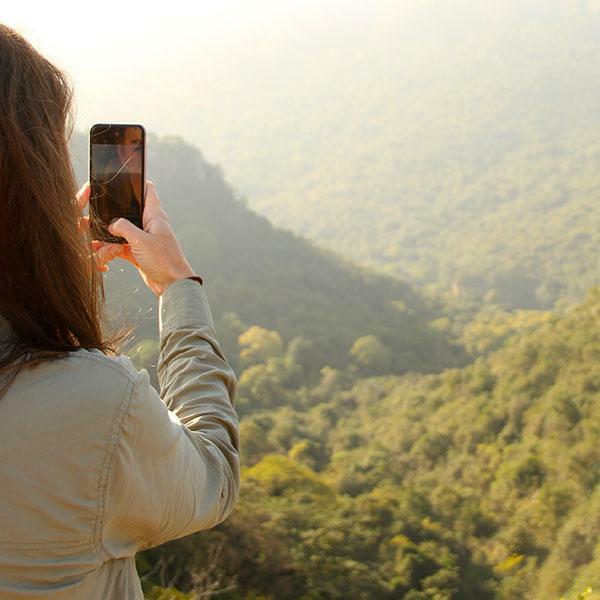 If you'd rather go the classic route in planning, packing, and exploring on safari, try to maximise your ability to share your experience using your mobile. When something amazing happens, someone will immediately come to mind you'd like to share it with. If you're not lucky enough to have that person by your side, the value of sending an instant message is immense. Now, if you'll excuse me, I have a month's worth of Instagram pictures to upload. Scroll down to see our iPhone gallery. INSIGHTS FROM STEVE: Founder of The Safari Store, Steve Adams, weighs in on the simplicity of iPhone photography on safari. Having done a fair amount of photography with my iPhone 6s and Swarovski ELs, one word comes to mind: convenience. While my Canon EOS 7D SLR is an incredible piece of gear and will always take superior images and video, it is way harder to learn how to use - just try creating a time lapse on an SLR! With the iPhone, I set up the phone on a tripod, select time lapse, and then hit start to record and that is that. The phone does the rest for me. 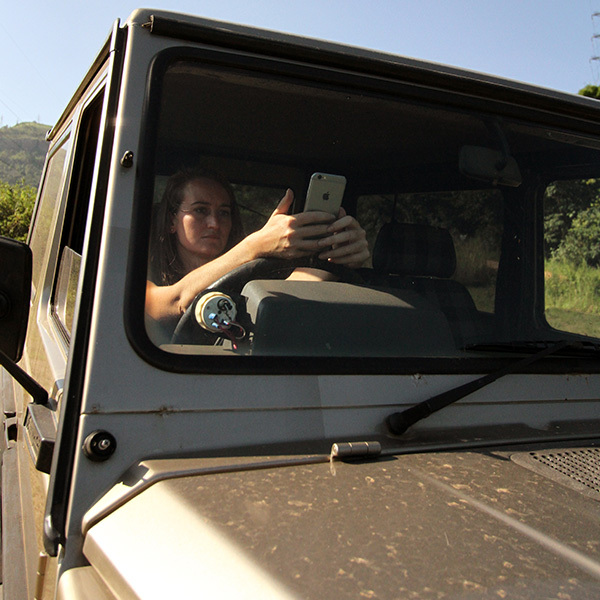 On my last safari in Zululand, I left my SLR, GoPro, and drone behind and only took the phone and Swarovskis. What that means is that, when you travel, for the first time you are able to record incredible images and video (to include time lapses, slow motion, panoramic images, and more), but pack no more than the phone, binoculars, and the essential lightweight clothing and gear in a bag such as a Voyager, check it in as hand luggage, and off you go! While the same rules of photography and video-making still apply, you will spend a lot less time watching YOUTube videos trying to work out "how the darn thing works" and way more time capturing images. My advice though: practice, practice, practice attaching the phone to Swarovskis and take images of the same subject with and without the binoculars attached and using various modes, as above.